When you’re setting up a home theater system, the AV receiver is the center of the configuration. This unit features a variety of input and output connectors, so you can link all of your pieces of home theater equipment. Most models are compatible with standard devices, including TVs and surround-sound speakers. The receiver connects each piece, so it’s easier to control your system. As you’re choosing a 7 channel AV receiver, don’t forget about technology upgrades; models that connect to Bluetooth or voice-control devices allow you to add a wide range of modern entertainment devices into your system. 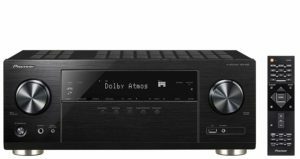 If you’re a fan of the Alexa digital assistant, the Yamaha RX-V683BL is an ideal choice for your home theater. It’s designed to connect to Alexa, so you can enjoy enhanced voice control. The receiver features built-in Wi-Fi for easy music streaming; it also supports MusicCast to deliver audio to multiple rooms in your house. With full 4K Ultra support, you can enjoy excellent video quality for cable or streaming content. Built with 4K Ultra HD support, this Sony AV receiver is designed to deliver clear, crisp video. 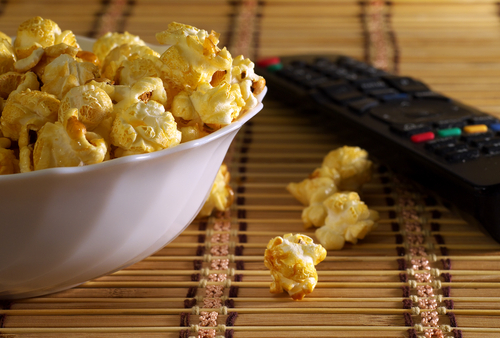 Dolby Atmos technology creates cinema-quality sound and supports 360-degree surround sound. Plus, with the DTS:X decoding, your system can make high-speed adjustments to create the perfect listening experience. Do you want to stream video or audio from your phone? Simply connect to the receiver’s Bluetooth for effortless play. 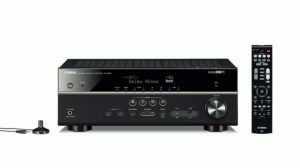 Distribute audio throughout your house with this Yamaha receiver, which is built with MusicCast for easy expansion. The 4K Ultra HD capability creates crystal-clear video, and the 7.2-channel surround sound feature uses Dolby Atmos for the best possible audio. Connect the unit to your Wi-Fi router for easy streaming from your phone or tablet. You can even link the system to your Alexa to control it with your voice. 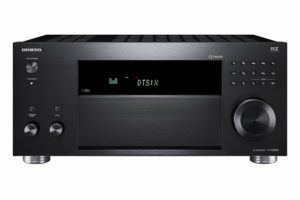 This affordable Denon AV receiver is built with eight different HDMI inputs, so you can connect a wide variety of media players. The surround sound system uses both Dolby Atmos and DTS:X to create a full-immersion, true-to-life audio experience. You can use it with a variety of audio files, including AIFF and DSD. Want to go wireless? This receiver has both Bluetooth and Wi-Fi technology for effortless streaming. Compact and powerful, the Pioneer VSX-932 AV receiver enables you to play a wide range of media types. The Ethernet port creates a stable connection to your home network; alternatively, stream media quickly by linking to your Wi-Fi. The system also accepts Bluetooth and AirPlay connections for extra convenience. Whether you’re going for stereo or surround sound audio, the powerful unit delivers clear, beautiful sound. Take the hassle out of sound-system setup with the Pioneer VSX-933. 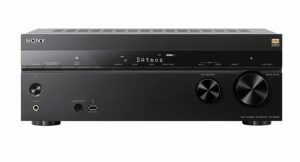 Built with Dolby Atmos, DTS:X, Dolby Surround Upmixing, and Sonos Connect, it creates a rich, nuanced sound for music and video. This unit supports Ultra HD video and uses Dolby Vision to create the best possible picture quality. When it comes to wireless control, this system is versatile and powerful. It features a built-in Chromecast for easy streaming, and also connects to Sonos Control and the Pioneer Remote App. The Onkyo TX-NR656 delivers a stunning 170 watts per channel, allowing you to create an immersive surround-sound setup. Use the local network to play audio without losing quality, or stream from your phone using Wi-Fi or Bluetooth. The system even supports internet radio for convenience. With eight HDMI inputs, you can connect 4K TVs and your favorite Blu-Ray or DVD players. Two powered zone options make it easy to port audio into another room. When you’re trying to go green at home, this Harmon Kardon AV receiver can help you get there without sacrificing sound quality. It comes with Green Edge technology, so you can enjoy maximum volume without extra power. On the front of the receiver, a USB port makes it easy to plug in a USB device, Apple phone, or tablet for stable media playing. On the back, you’ll find six inputs, each capable of handling 3D video content. The Onkyo TX-RZ820 is a great choice for serious sound junkies. This THX-certified device offers dynamic amplification, and also supports Dolby Atmos and DTS:X audio for best-in-class performance. You can use the 2A and 2B powered outputs for multi-room audio. Six HDMI inputs on the back all support 4K pass-through, making the unit easy to use with your late-model TV. 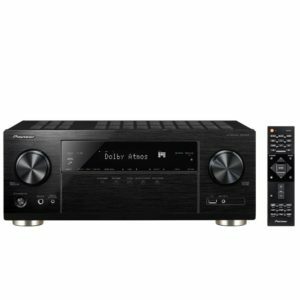 Bid farewell to cable clutter with this Sony AV receiver; it supports Bluetooth and comes with NFC connections, so you can link your devices in seconds. The built-in Chromecast makes it easy to stream media from any compatible phone, tablet, or computer. With 100 watts per channel, this unit creates powerful, clear sound. A great 7 channel AV receiver controls your home theater system with ease. With any of these top 10 receiver models, you can set up a system that delivers the sound quality, video performance, and easy control you need.